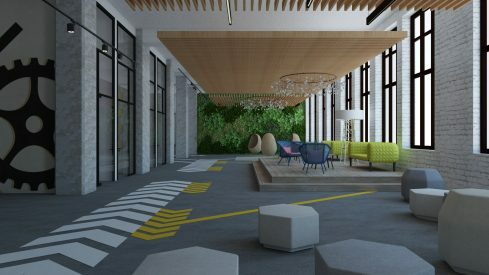 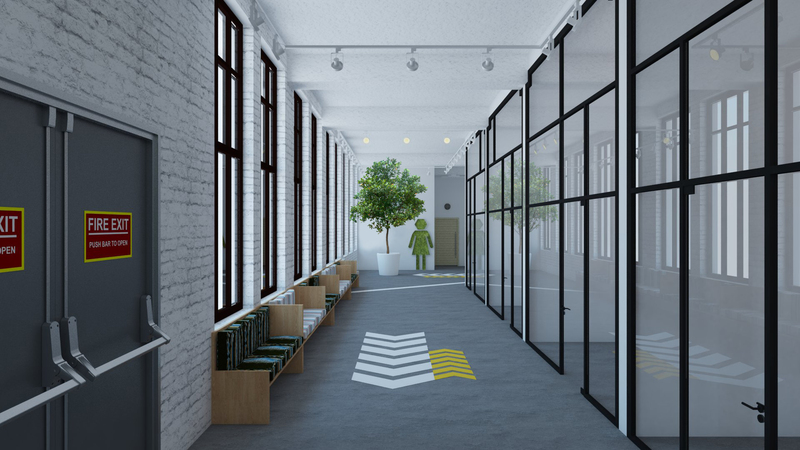 There are many industrial unused factory buildings that were left derelict after the WWII or after the collapse of the Soviet Union, but they can be rejuvenated to become the new thriving community with unlimited functions. 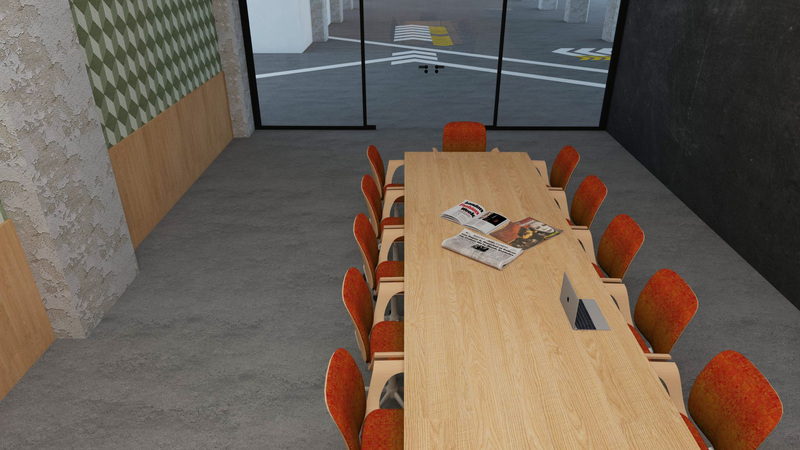 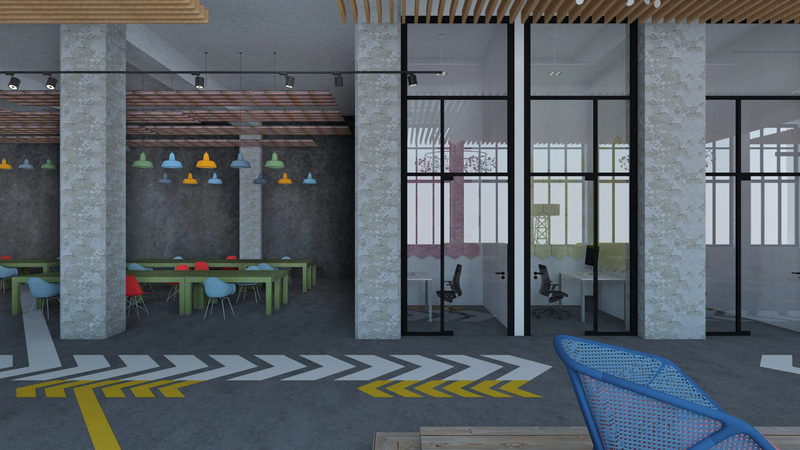 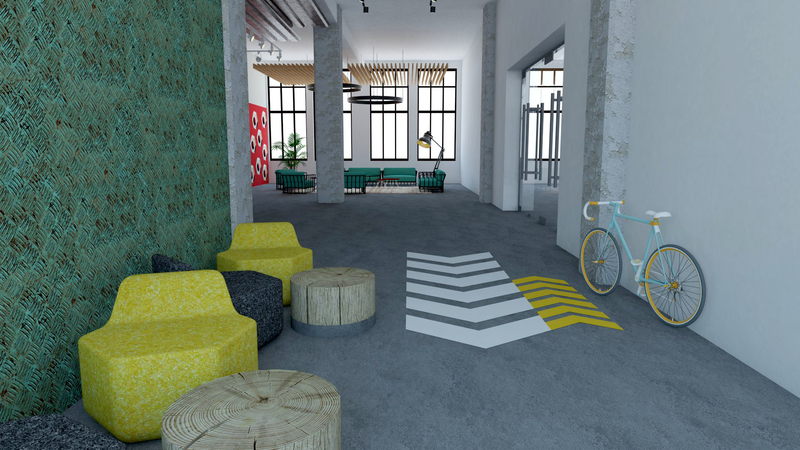 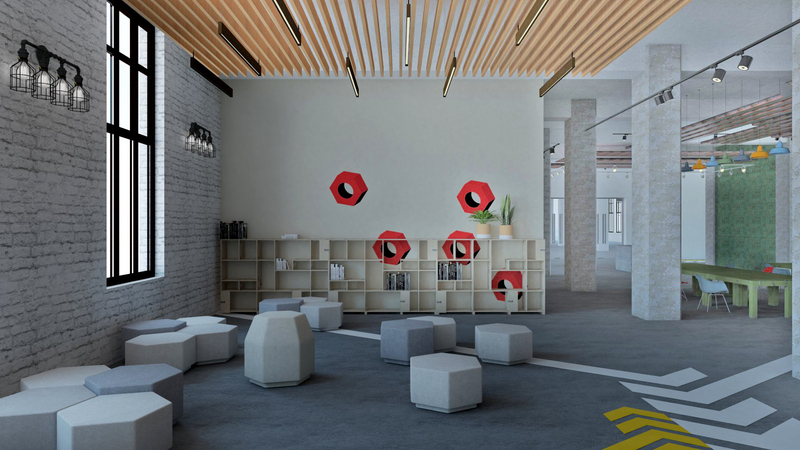 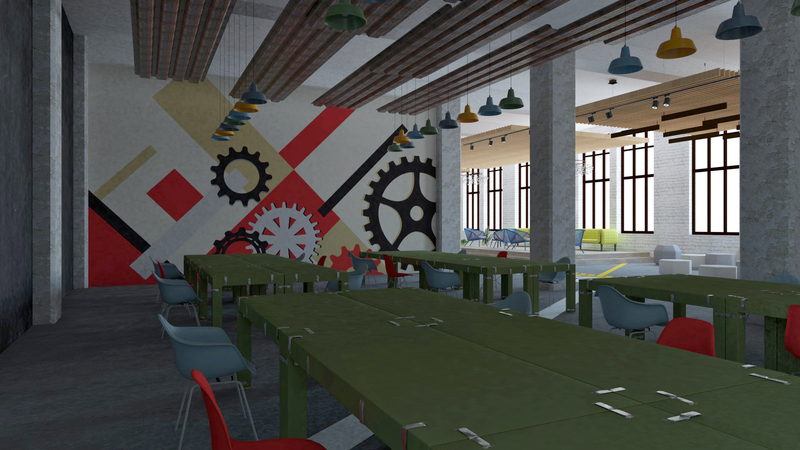 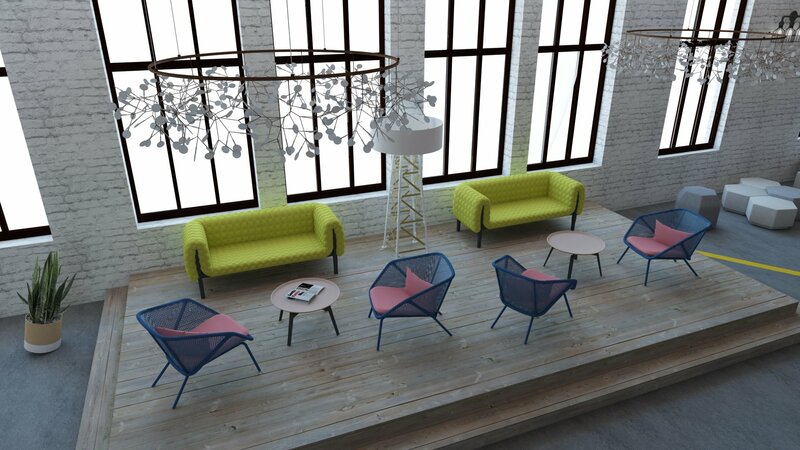 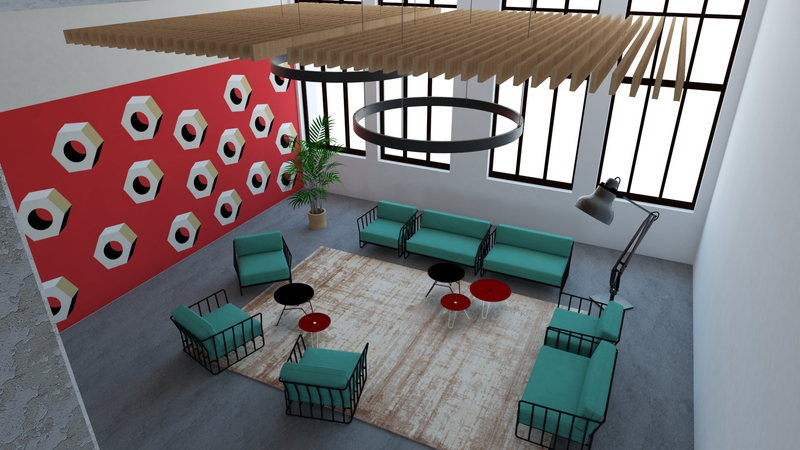 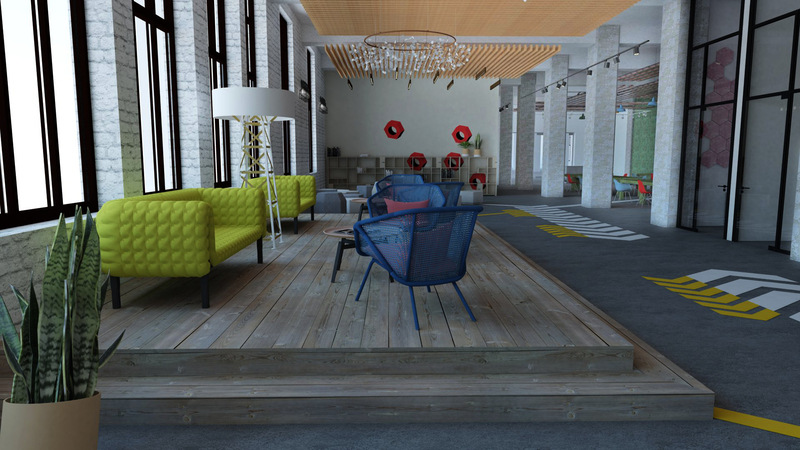 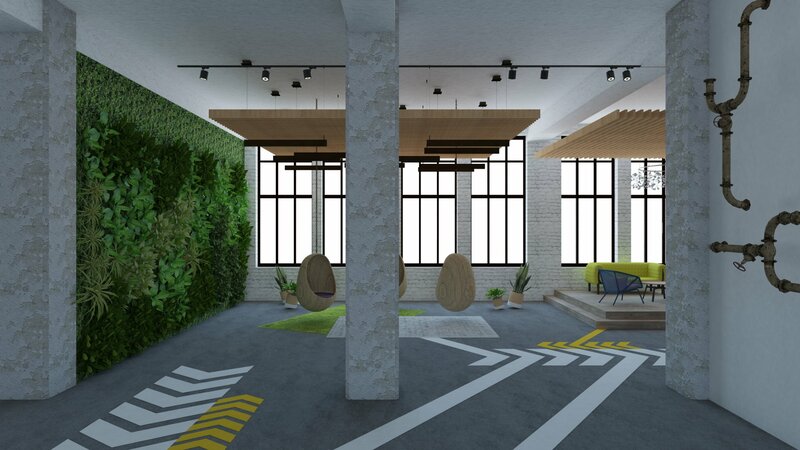 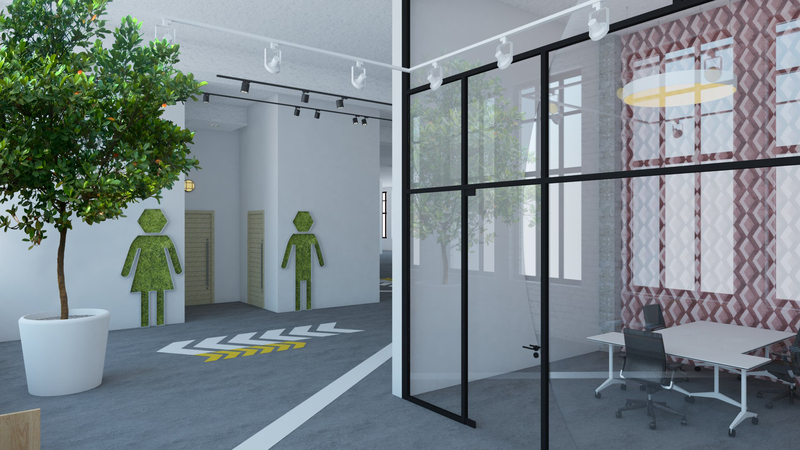 This is our vision of a Co-working space for creative individuals and companies in an Industrial Heritage Museum. 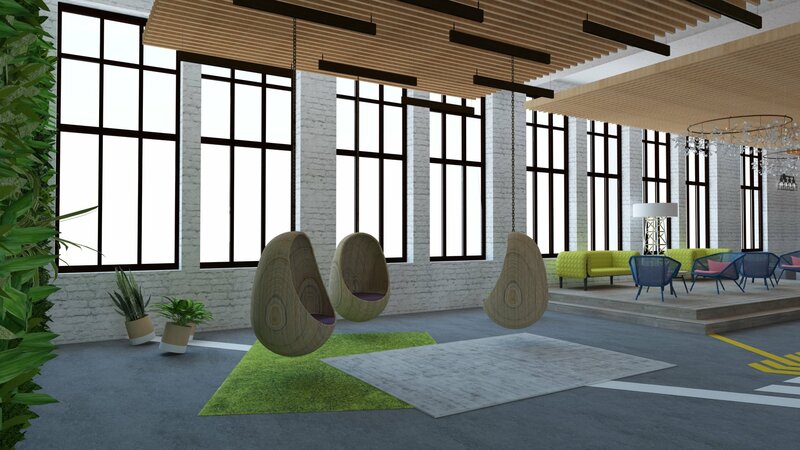 We integrate offices and workplaces into the large-scale space. 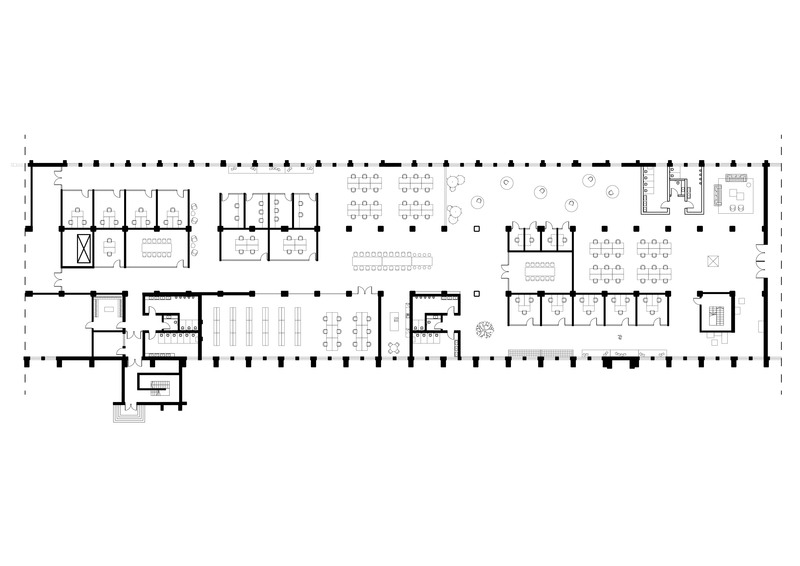 By creating a strategy for a symbiotic relationship between a museum and a workspace, it develops a new community around it.